Opening Tracks and Radio Songs: Championship Round! 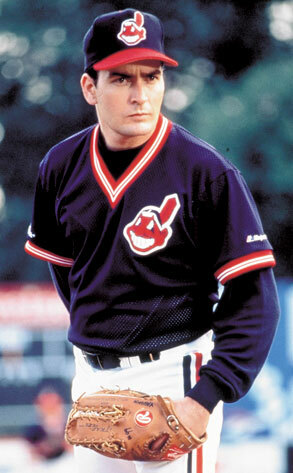 Whatever the results below bear out, the best closer of all time is probably the Wild Thing. A joyous 3.5 weeks on the road came to an end today. I’ll have much to post about it- travel adventures, photos, and even videos. But all that in due time. We’re on the verge of picking the best opening track and best song about the radio. It’s been a tournament with sparse voting, with some regulars complaining that the themes have been a little esoteric. Next time either of these topics come up in conversation, however, you’ll have LTD voters to thank. Last round I had a listening party with members of Midnight Spin when we were all camped out in Boulder, Colorado. The band became intrigued about what constituted the best closing track of all time. We spent about four hours deliberating on nominees for a 32-song tournament, and they’ve been playing that tournament on their long drive across the heartland. Below I’ve included the finalists for that tournament, which all LTD voters can jump in on. The playlist is here and the bracket is here. Votes are due by midnight on Friday, April 12. Last round Nirvana took out the Who’s “Baba O’Riley” and the Beatles vanquished “Gimme Shelter” by the Rolling Stones. “Caravan” by Van Morrison vs. “Radio Free Europe” by R.E.M. Last round Van Morrison defeated “Roll Over Beethoven” (Chuck Berry) while R.E.M toppled “Video Killed the Radio Star” (Buggles). 4 Responses to Opening Tracks and Radio Songs: Championship Round! 9- “Smells Like Teen Spirit”, Nirvana, Nevermind vs. This is like asking people to choose a favorite parent or child. Very hard, but had to default to The Beatles. 6- “Caravan” by Van Morrison vs.
9- “Radio Free Europe” by R.E.M. R.E.M. penned a song about saving the soul of radio. Caravan is a song you hear on the radio and realize it has the word radio in it. 9.5- “You Can’t Always Get What You Want”, Rolling Stones, Let It Bleed vs.
Choir over rasta almost every time.